Pottstown Pet Fair will go on! So, put on your raincoat and grab your umbrella and come on down! Pottstown’s First Annual Pet Fair will take place downtown tomorrow, Saturday, September 24 from 9 AM to 2 PM. The Pet Fair will be located in Smith Family Plaza in front of Pottstown Borough Hall. The Fall Festival will include a massive community yard sale, which is on from 8 am – noon so get up early and head downtown to catch the best deals and find that special something you never knew you needed! HUGE shout-out to The Very Best! I was roaming High Street, looking for a wireless internet connection, and the folks from The Very Best graciously let me sit at the counter and get tapped in while they hustled to get their food and set-ups ready for the Carousel of Flavor. They’ll be there serving up their famous hot dogs and chili. 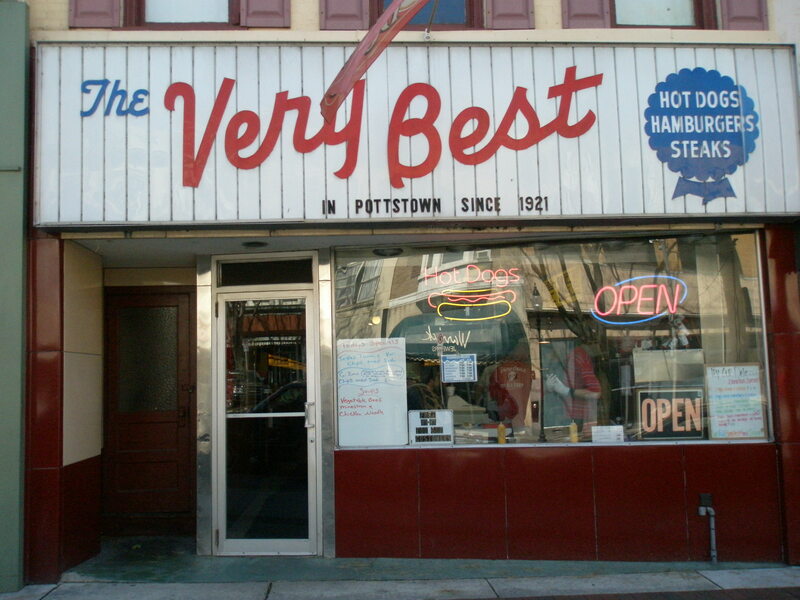 Come out and support this Pottstown institution since 1921! Thank you to owner Joe Miller and his fiancee Amy Shuster for getting me wired! 2nd Annual Antique Appraisal to benefit Forgotten Cats, Inc.
lonely cats in the Pottstown area! For additional information please contact Bill Sharon at 610-310-0070. 9:00 A.M. to 200 P.M.